It’s October, and that means it’s time to start counting down to Halloween! I don’t know what it is, but I love a good holiday countdown. 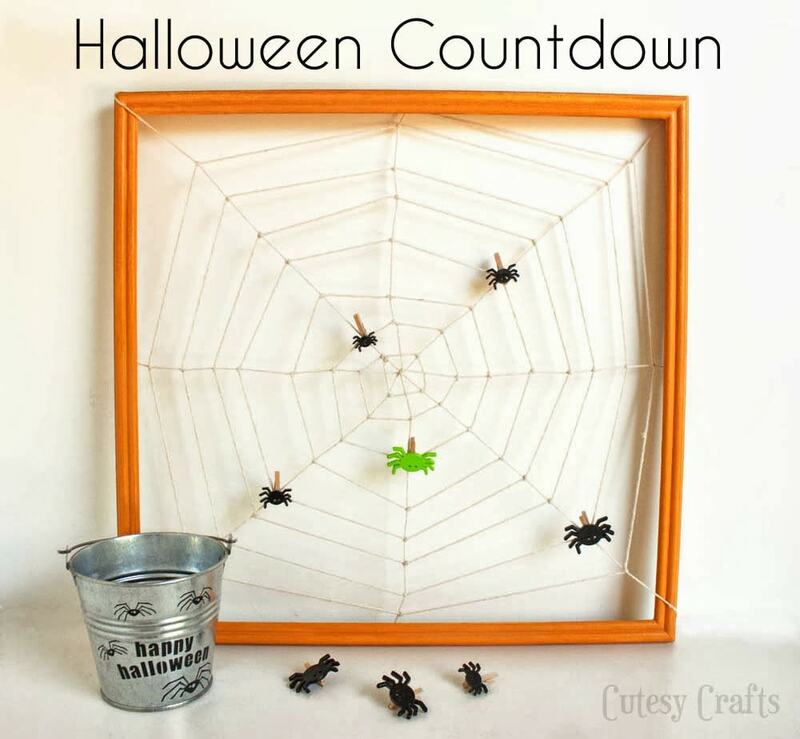 We’ve already got our Halloween countdown calendar from last year, so I made this cute spider web countdown for my sister’s family. There are 31 spider buttons on mini clothespins. Every day you take a spider off the web and put it into the bucket. The green spider is the last to go on Halloween day. 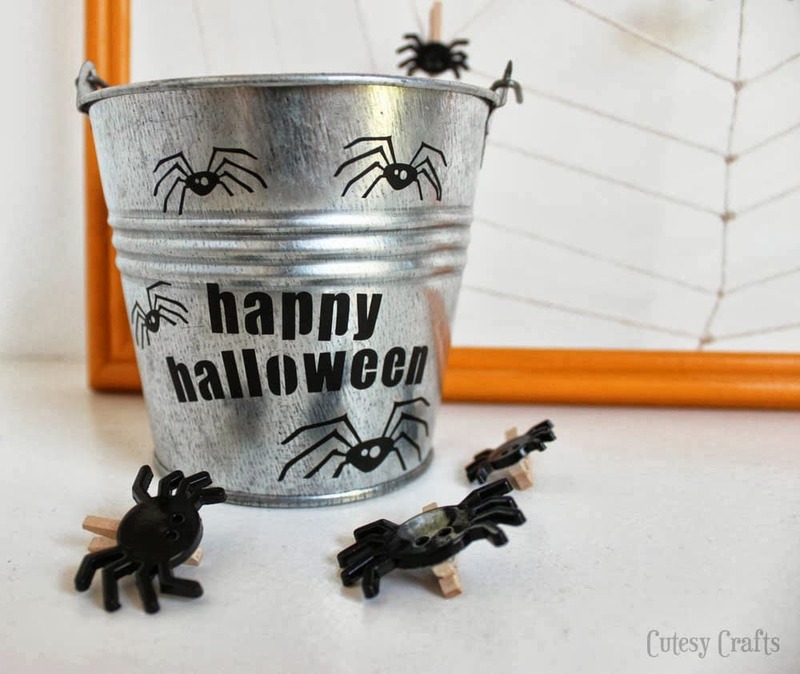 I used my Silhouette to cut out some lettering and spiders to dress up the little bucket. 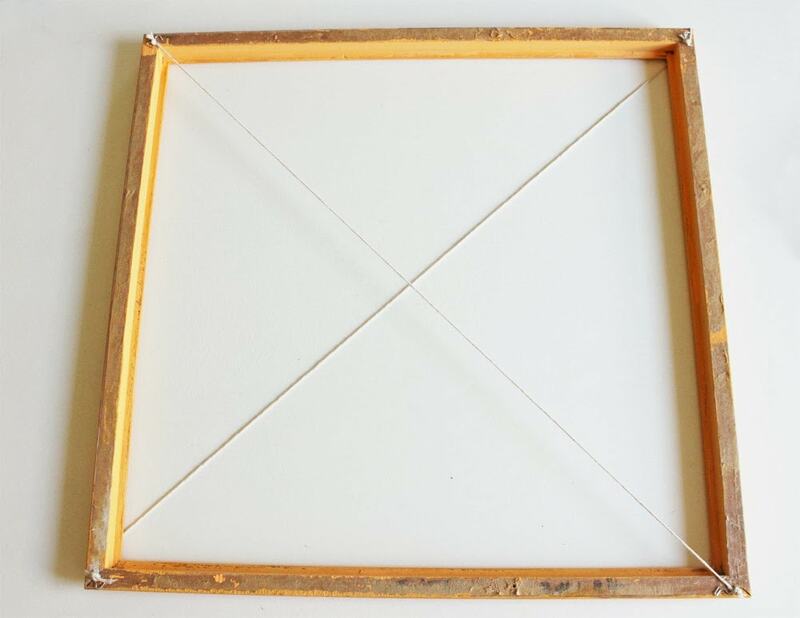 I got the frame from the thrift store and painted it with orange acrylic paint. Then I sealed it with a clear paste wax. 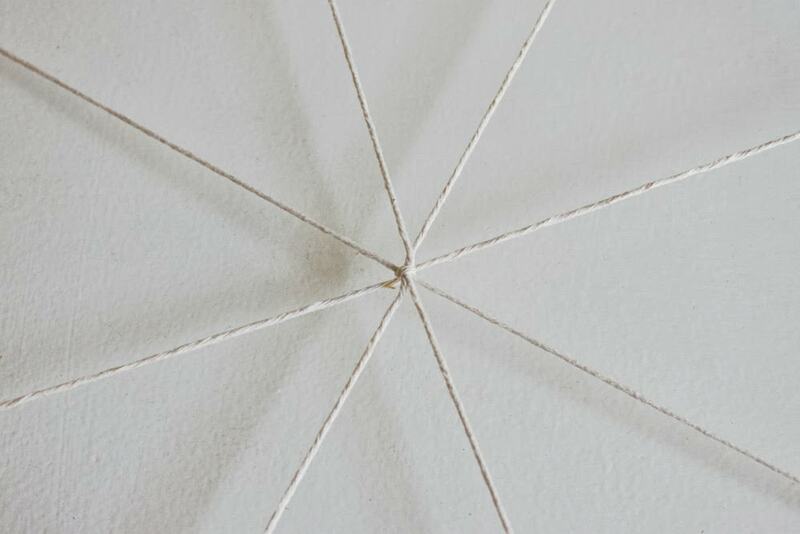 Is that weird… acrylic paint and paste wax? It worked! Anyway, you can just spray paint it or whatever you want. 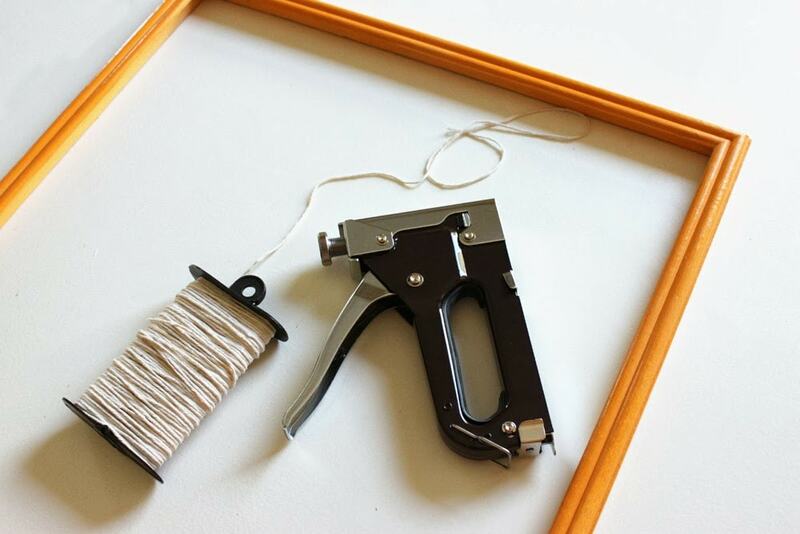 To make the web, I used string and a staple gun. 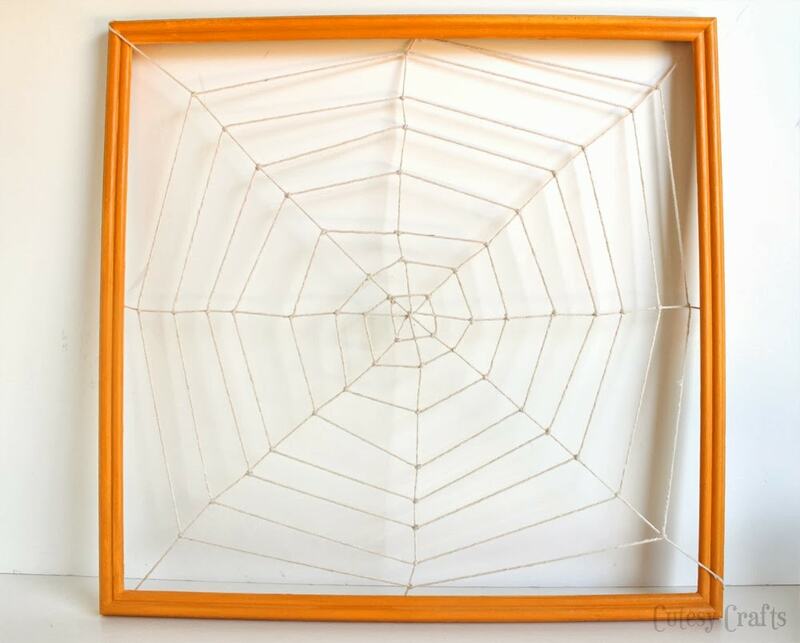 The idea to make the web like this came from this tutorial on MADE. It’s so cute! Go check it out. I started with an X and stapled all of the corners. To secure the string, I also tied knots at the ends. Take two more strings and bring them across the sides like this. Make sure to wrap them all around each other when you go across the middle. 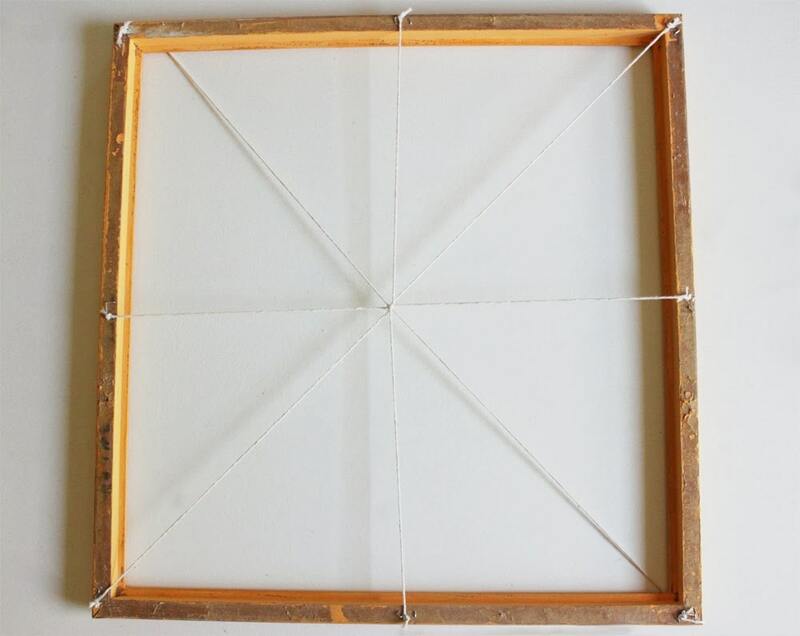 Now take a really long piece of string and tie it to one of the X pieces near the center. For this first time around, I skipped every other string. After that, I did every string. 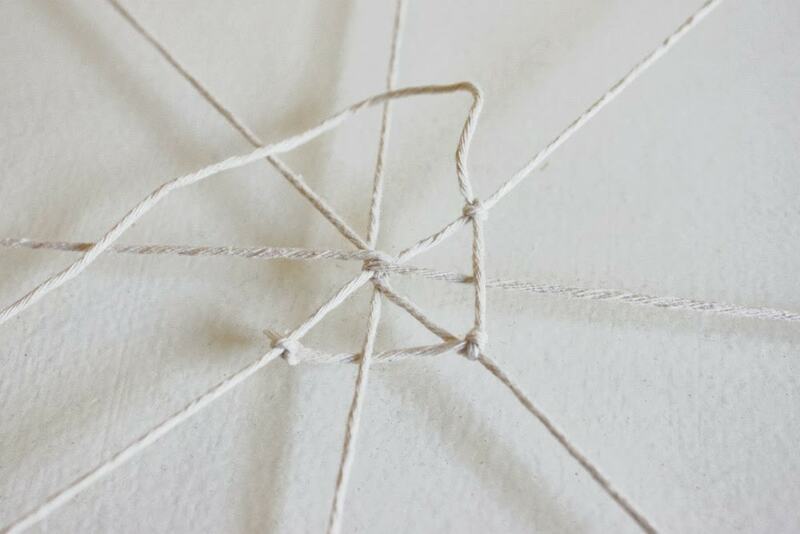 Make sure to tie a knot every time you get to the next string to make the web stable. It’s already looking cute! 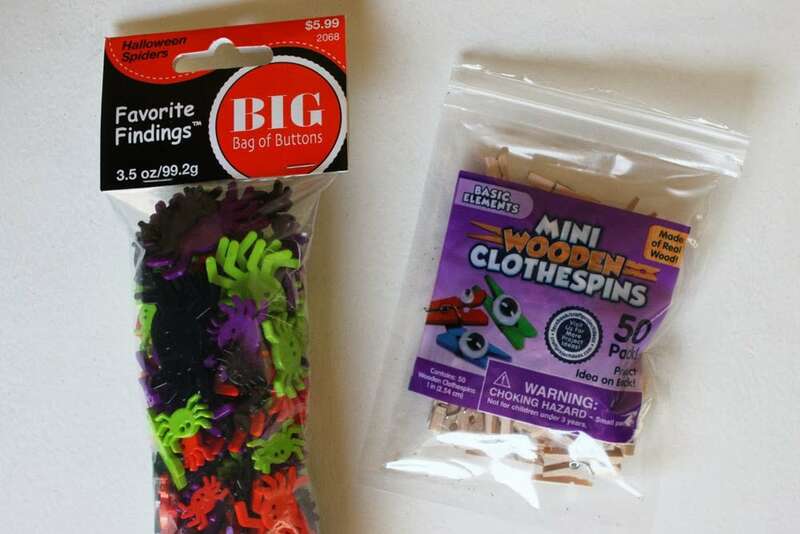 I found these adorable spider buttons and mini clothespins at the craft store. Seriously, those mini clothespins make me giddy, they are so stinkin’ cute! I want to put them everywhere! 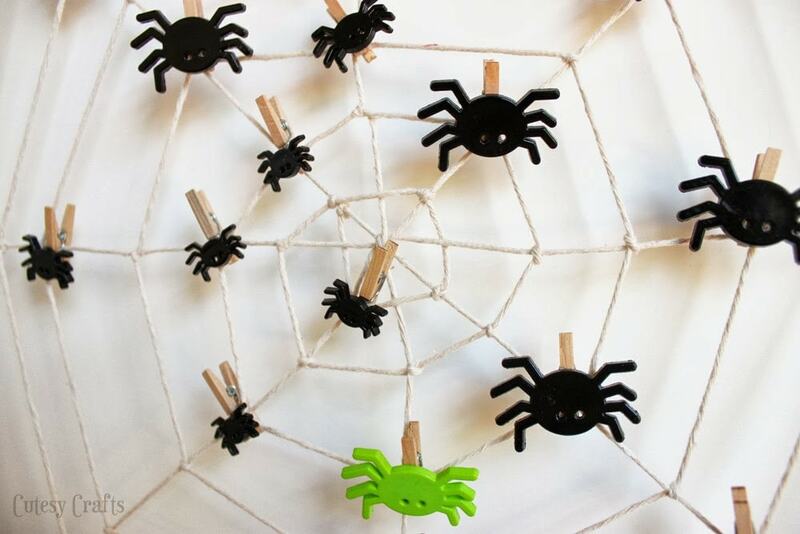 Just hot glue the spiders to the clothespins. 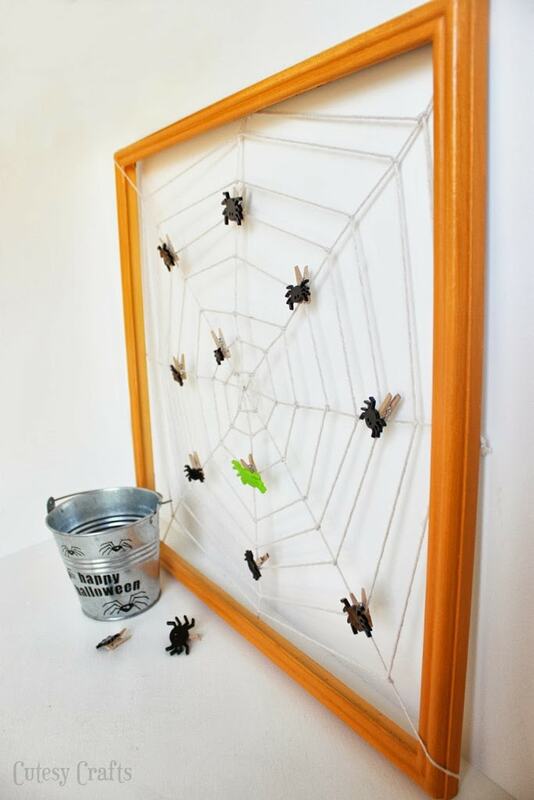 The spiders do best when you stick them on the knots, so make sure you made enough knots to accommodate all 31 spiders. Such a fun and simple way to count down to Halloween, and I love that there is no candy involved! And now, I have something else fun to share with you! I have teamed up with a group of awesome bloggers to do monthly themed posts. This month’s theme was, you guessed it, Halloween! 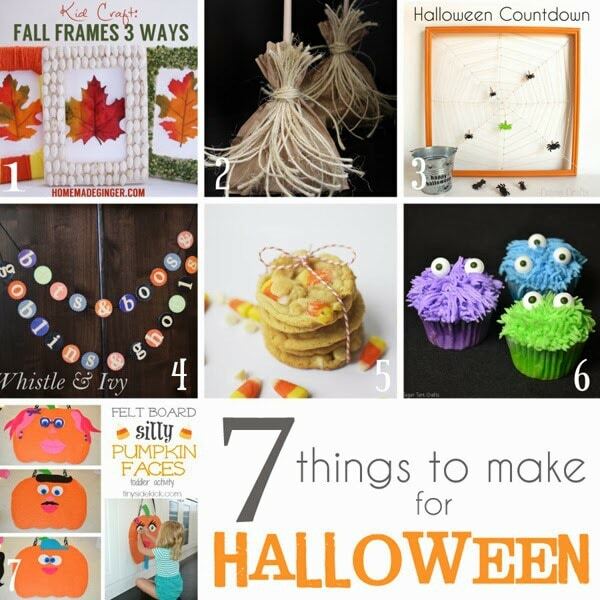 Show my bloggy friends some love and go check out their adorable Halloween projects! You will love their blogs! So cute and spooktacular! We love it! This is the cutest thing! What a great idea and it’s adorable!! Pinning and sharing for sure! That is so cute! I’m going to make one for my boys. Thanks for sharing! Thank you! Hope your boys like it! Thank you Brooklyn! My kids love to count down to any holiday! This is sooooo cute! Never thought to count down to Halloween. I have to make one of these! Pinning. Thanks Corey. Any excuse for a countdown! I love them! Those buttons are absolutely adorable, and I love that you can use the web-frame just as a decoration by itself! So clever! This is one of my favorite Halloween posts I’ve seen this year. It’s so smart and cute! I would love for you to link up with our party this weeks! What a cute idea, this is adorable. Thanks for sharing. what a fun idea!! I love how visual it is..my grandkids are going to have a blast with this one. And, my daughters in law are going to love it that there is no candy involved. Thanks for sharing! How darling is this?! I love it! I’ve been trying to think of something to use a bunch of tiny wooden ladybugs I found on amazon, and this has inspired me to do a countdown with them! So, do you add a spider to the web each day, or do you remove a spider each day? Fun! We took one off each day, but you could do it either way.